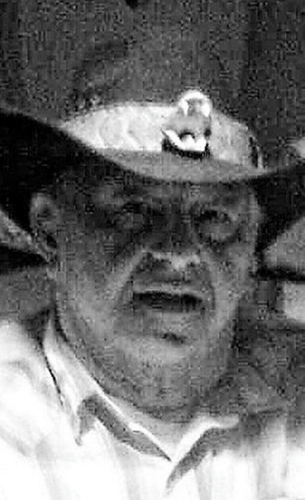 Carlo "Carlos" Canevari, 81, of Forest City, died peacefully Monday. His wife, Sonia, died in 1991. Born in Jessup, son of the late Gregario and Mary Setta Canevari, he was a graduate of Jessup High School. He was a member of Jessup Hose Company 2, a social member of VFW Post 6082, Eynon, and a member of the Lithuanian Tauras Club, North Scranton. Before retirement, he was employed as a warehouseman for the former Specialty Records and WEA Manufacturing, Olyphant. He enjoyed spending time with his grandchildren and driving his antique cars. Surviving are a daughter, Patricia Dombroski and husband, Richard, Carbondale; a sister, Viola Linko, Jessup; a brother, Peter Setta, Peckville; four grandchildren, Brian and wife, Kathleen; Darrell and wife, Marie; Sabrina and Nikolas; four great-grandchildren, Codey, Cora, Ryker and Pierce; and several nieces and nephews. He was also preceded in death by a daughter, Marylou Masiyowski; and a brother, Louis Canevari. The funeral will be Thursday with a blessing service at 10 a.m. in the Jones & Brennan Funeral Home, 430 Main St., Forest City. Interment will follow in Union Dale Cemetery. Friends may call Wednesday, 5 to 7 p.m. To send online condolences, visit the funeral home website.